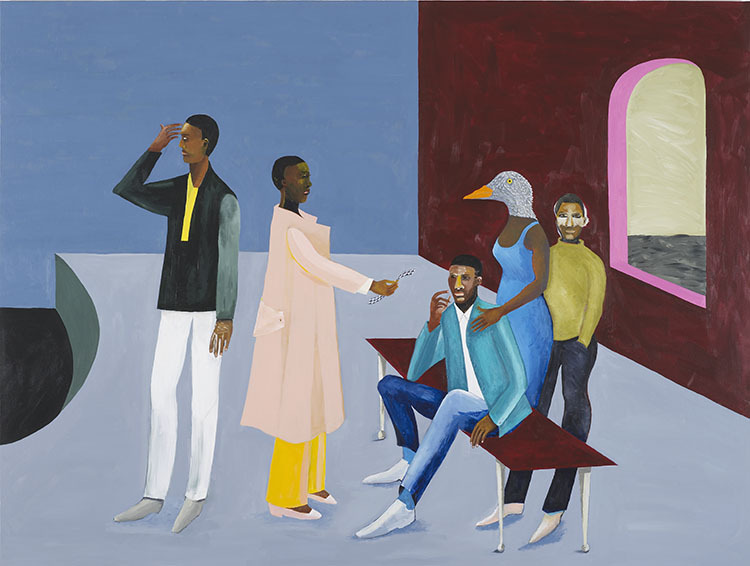 Turner Prize winner Lubaina Himid’s artworks fill in the gaps that history leaves behind. On 6th April 1819, 36 enslaved West Africans on board the illegal French slave ship Le Rodeur had weights tied to their legs and were thrown into the Atlantic. The accepted reason for this was purely financial. Two weeks into the ship’s ‘Middle Passage’, crossing from Bonny on the West African coast to the French Caribbean islands of Guadeloupe, an outbreak of ophthalmia spread among all but one of the 22 crew and 162 enslaved Africans, making them temporarily or permanently blind. Any ‘deficiencies’ among the Africans meant they could not be sold, so, due to the ship’s insurance policy covering any losses for slavers, they became more valuable dead than alive. Nearing Guadaloupe, Captain Boucher ordered the deaths of 36 people whose blindness was deemed permanent. The only reason we know of the deaths of these documented but unnamed Africans is an article in a medical journal of 1820. The throwing overboard of enslaved African people was a common occurrence, the frequency of which led to court cases as insurers became increasingly irritated by the claims of slavers. 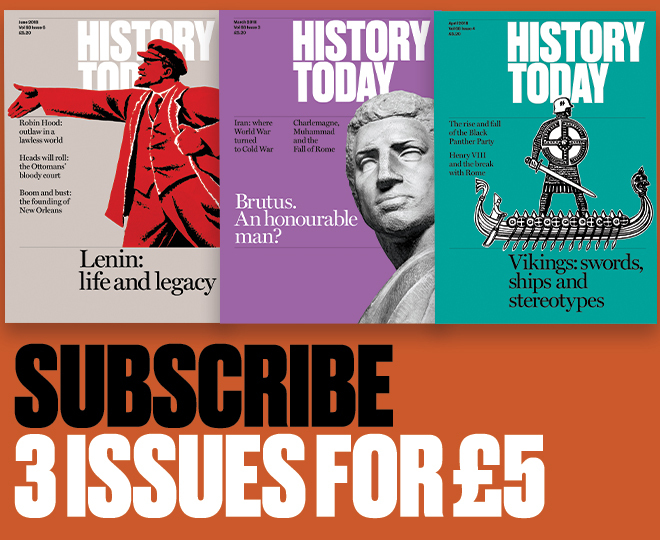 It is the blindness of nearly everyone on board that apparently gives the story its value, not the mission, nor what the historian Anita Rupprecht has called a ‘form of labour deemed to be so unspeakable as to be well nigh unrepresentable’. The events on Le Rodeur were described first in abolitionist writings and more recently in studies of semiotics, disability and ophthalmology. The account persists in much the same form as when it was first circulated in the 1820s, an interpretation that has been seemingly unchallenged. There are no names recorded, only a continued repetition of collective, distanced, historical ‘slaves’. 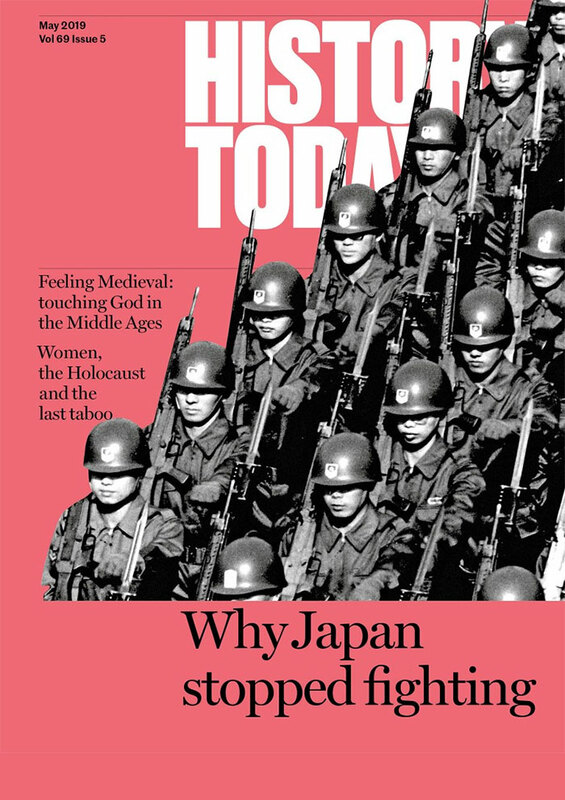 Yet we know that they were individuals with families and friends – and names. I was struck by the horror of the incident but also by the dread of losing sight, especially as a visual artist. In Le Rodeur: The Exchange I wasn’t interested in describing this scene itself, but rather in describing that feeling of confusion, of not knowing exactly what is going on. In a way I am trying to convey the ‘ghost’ of it all, the shudder in the room. We have an easy, lazy way of saying ‘refugees’. I think about people being actual people – each one born out of someone’s womb. So if you were to say, off the boat today came Mohammed or David or John and then added that, before they left, they were a carpenter, a doctor, a teacher … it is then they would start to breathe … We must not do this distancing – we are none of us more important than others. Another of Himid’s artworks, an installation called Naming the Money (2004), resonates with these issues. 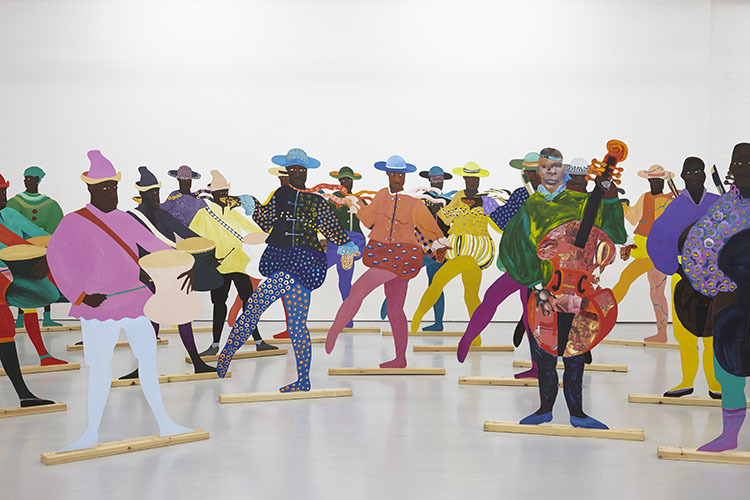 It consists of 100 wooden figures which Himid calls ‘life-size cut-outs’. Each one, as the artist Hannah Black suggests, is ‘an absence the size of a life’. Himid presents us with the names, memories, achievements and actions of 100 fictional but symbolic enslaved African people. ‘My name is Effiong / They call me John / I used to make rings for royal fingers / Now I make shoes for ladies feet / But I have gold’. Naming the Money (detail), 2004. Photograph by Andy Keate. She conjures ten professions for the 100 people, giving us both a sense of the individual and the mass. Ceramicists, shoe-, toy- and mapmakers, herbalists, dog trainers, viola da gamba players, drummers, dancers and painters are given narratives describing their original skills, names and selves, alongside the new identities bestowed on them by their European owners. I need to do it because there are stories that need to be told. There are stories that aren’t being told. There are gaps in history that are not being filled … and I only know how to paint. So rather than being a politician or a historian then that’s what I do. 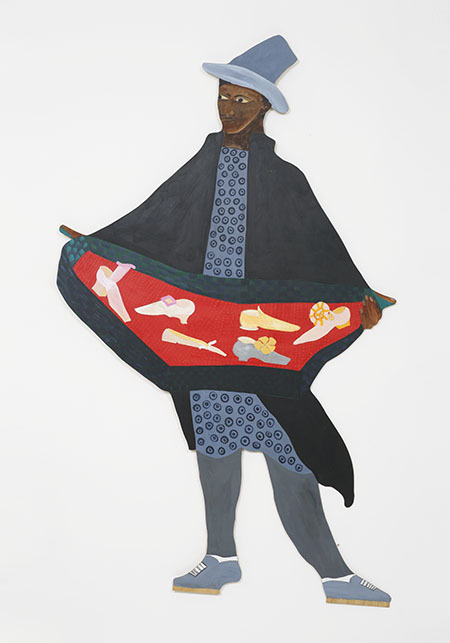 Himid’s work is a call, an insistence, for historians to listen to existing conversations and to start dialogues, to do more than to repeat the nameless narratives of numbers. Her art can help historians to speak the unspoken. Ella S. Mills is an art historian of the British Black Arts Movement.